This is a review of one of the most popular LED grow lights on Amazon. It is the Phlizon 900W and we are giving you a detailed analysis of this light and its pros and cons. 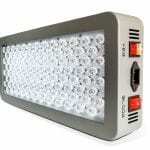 Find out if the popularity of this LED grow light is justified or if it is an overhyped brand. Everybody wants to grow with LEDs nowadays, but is the Phlizon Newest the light for you? We will talk about what makes this light unique and all the, in our opinion, important factors of the light. You will find out that this light has indeed the right to being one of the most popular lights on Amazon. Most grow lights use led spotlight reflectors to for aesthetics. The Phlizon Newest 900w opts for safety opposed to beauty, as it doesn’t have reflectors. Reflectors are not heat-resistant since they catch fire at 176 degrees Fahrenheit. This temperature is easily reached in case of a short circuit. The lack of reflectors is what makes this light special. 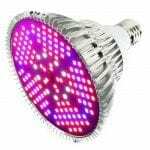 It enhances the safety of the LED grow light. A lot of experiments were conducted to make sure that the spectrum is optimized for your plant growth. The full spectrum includes every important frequency: universal Blue and Red IR UV and White light. These light colors provide everything that a plant needs in their natural habitat. The Phlizon Newest 900w has two different output modes for the light spectrum. The light can be tailored to the need of your plant’s. There are two buttons: Veg and Bloom. Veg activates mostly blue and white LEDs. It helps in the veg phase of the growth and it makes the seedling grow best. The Bloom switch activates mostly red and white LEDs. If you want the plants to flower/bloom both the Veg and Bloom buttons should be turned on. The angle of the lights is 90°and 120°. The light has a high PAR output which helps feed the plant and yield big, potent buds. The Phlizon Newest 900w grow light can substitute conventional 600W HPS/MH although it consumes only 220W. This, in turn, allows for a greater coverage of area than other reflector lights whereas most traditional lights discharge light at random. For ideal results use the light for 2x2ft tents at height of 24 inches. The Phlizon Newest 900W can grow about 6 plants from seeds to maturity. It has two cooling fans that extend the light life, and make sure the light doesn’t need external cooling or ventilation. Phlizon has a strong R&D department that runs lots of test before carrying out standardized production procedures. It provides a 2-year warranty and 30 days money back guarantee. All products of Phlizon are FCC certified. 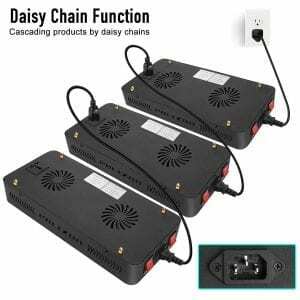 The Philzon Newest 900W LED Plant Grow Lights are excellent, especially at their price point. It does have a lower output of power compared to other models but the price justifies it. 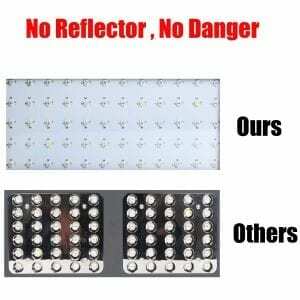 This light is affordable, safe and provides realistic results due to extensive testing and development. We have to mention that this light can also be daisy-chained. A great addition, because this makes it super easy to scale your grow production. Start with a one or a few lights and buy more while your production grows! LED lights happen to be the most productive form of grow lights attainable. LED lights provide about 75% more energy than traditional grow lights. They utilize lesser power; hence the power bill is significantly lower, thus contributing to higher profits. 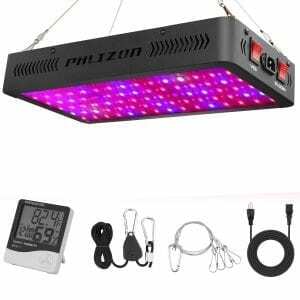 Rather than spending a major chunk of the earnings on maintenance, you can buy a reliable Phlizon LED grow light. 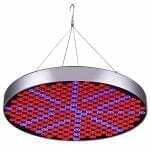 Do you want to see this light live in action? Check out the video below! The Phlizon Newest 900W is definitely an affordable indoor LED grow light. It is ideal for plants that need more than 10 hours of continuous light exposure. The full spectrum, including blue, red, UV, IR and white light, ensures healthy plant growth and good yields. The daisy-chain option makes it the perfect light to quickly scale your production. The light is safe and thoroughly tested by Phlizon. Finally, the growth stage switch makes it an ideal light for all growth stages. This LED grow light by Phlizon is unquestionably good value for money. It’s well built with some very useful features to grow 6 plants at a time. Phlizon Light is certified by FCC and meets all requirements of every plant growth stage making growing very easy and efficient. Take a look at our complete guide on buying the best LED grow light for indoor growing. Read all of our reviews right here. Looking for a comparable light from another brand? 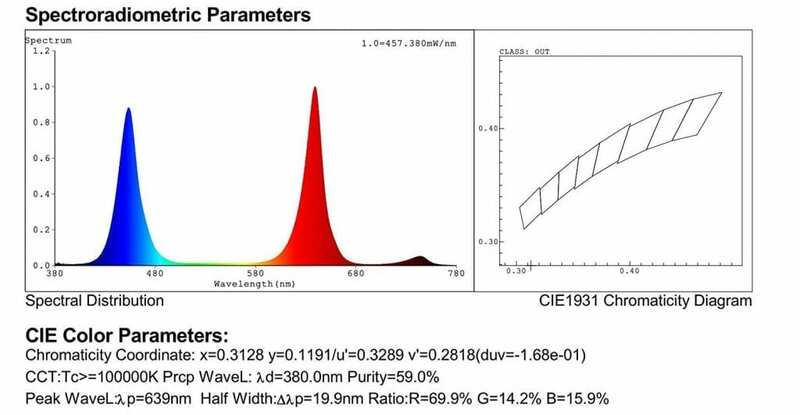 Check out the Viparspectra Reflector Series.